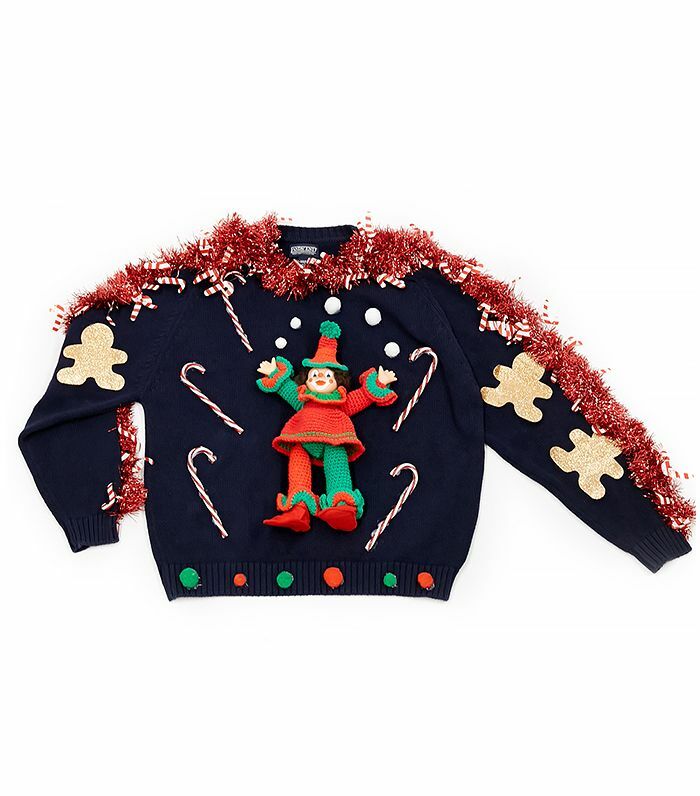 Ugly holiday sweater parties pose a bit of a conundrum: Sure, you want to have the tackiest sweater out of all your friends, but you don’t want to spend too much money or waste too much time searching for one, since this is the only month you can wear it. Thankfully, this year Rent the Runway had the brilliant idea of offering 12 appropriately gaudy sweaters, cardigans, and vests for rent, starting at $15 for four days. The site, which usually rents out designer dresses for special occasions like weddings, managed to find the ugliest vintage knits, including one trimmed with tinsel and a stuffed teddy bear to another adorned with candy cane appliqués. Check out five of our ugly sweater favourites below, and click here to see the rest on their site. Do you have an ugly holiday sweater party to attend this year? Where do you usually find your tacky tops for the occasion? Let us know in the comments below!